от 25 шт. — 33 руб. 23 руб. 3-4 недели, 2880 шт. 60 шт. 300 шт. от 900 шт. — 22.80 руб. от 1800 шт. — 22.20 руб. 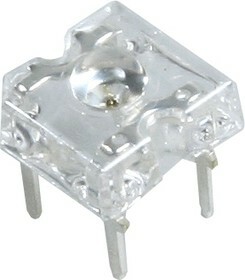 The P4 series from Cree are a family of high power LEDs with a unique package design. These LEDs can be mounted closely next to each other for a uniform appearance. Due to their high power output and optical package design, fewer LEDs are required to achieve the same appearance that you would get from other LED packages. Their low profile package also makes the P4 LEDs easy to couple with lenses and reflectors to achieve the desired lighting appearance. 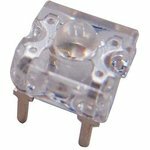 Available in a range of different colours, the P4 LEDs are ideal for applications such as vehicle lamps, entertainment lighting and other general lighting applications.